Congratulations to Brandon! Check your email for further details! A BIG thank you to everyone who entered our holiday “EDC” Giveaway! Stay tuned for our next giveaway. From all of us at WatchReport, Happy Holidays and Happy New Year! Holiday time is here and we at WatchReport wanted to help you have a very special holiday. Everyone, yes everyone worldwide, can enter! With that in mind, we have put together an instant “EDC” prize package for one lucky person. Custom Titanium Keybar with WatchReport Logo. List price: $80.00. Custom made and donated from www.keybar.us. 1- Comment in the section below and tell everyone about your daily “EDC” collection. Don’t carry that much? Thats cool, tell us what you wear on wrist or do carry! The more you interact with fellow entries, the better your chances of winning (yes, we can track all entry activity). All comments must be made on this page only. Comments left on any of WatchReport.com’s social media pages promoting this giveaway will not be included in the contest. All comments must be registered with your valid email address as this is how we will contact the lucky winner! Contest runs now through December 26th, 2015. BEST OF LUCK AND HAPPY HOLIDAYS FROM THE ENTIRE WatchReport CREW! I find it unsettling to carry knives in some instances but I always have a wallet and key knife. Hi, my EDC now only consist only of a Seiko SKX007, my iPhone and a leather wallet. I think the stuff you are giving away would complement my EDC well. The SKX007’s are a great design, aren’t they? I’ve been deciding between that one and the 009. My edc, i carry an emerson daily! Have a seiko sbdc003 on the wrist, an a flipsife wallet and of course my phone. I carry regular TIMEX and CRKT folder, phone and wallet. My every day carry consists of a cheap buck knife, a tumi wallet, and a lanyard with my keys on it. Sadly I don’t own any watches yet but I’m planing on getting a few. Gotta love Batman and Superman! Looking forward to their movie next year. I own several knives, watches, and other EDC items but I tend to carry the same items daily. Below are my average EDC items. Watch: Casio MDV-106 with NATO “Bond” strap. This watch has a lot of sentimental value to me but it’s also one of my least expensive watches. It takes a beating and has survived several trips into the water with a WR of 200m. Knife: Kershaw Emerson CQC-3k. I love the wave feature on knives and I find myself using this knife a lot. The wave feature makes it easy to open and the one I own has been “broken-in” enough that it’s almost buttery smooth. The edge has been reprofiled to less obtuse and the edge now has a mirror finish. Knife 2: On my keyring I carry a Victorinox Tomo. My favorite part of this knife is the scissors. Pry tool: Gerber Shard. Cheap. I love the screwdriver on it. It fits my Lansky sharpening system perfectly. Wallet: I carry a “business-card-wallet” that has held up for several years and I bought it from a small leather-worker. Money Clip: Koolstof money clip. Best money clip ever made. Flashlight: Fenix E15. I have owned several flashlights and this is the brightest and in the smallest package I have found. This flashlight takes a beating. Keyring: Nite Ize Ahhh S-Biner. This keyring is a little on the large size but it opens bottles better than anything else I’ve tried and used. Sunglasses: Ray Ban 2140 Wayfarer Classic Polarized. Originally I didn’t like the look of classic Wayfarers, but these have grown on me. The have a classic look that never goes out of style. The glasses are made with 3 barrel hinge construction. Since the glasses came with a case, they have been treated better than other glasses, but these glasses can also withstand a lot of abuse. A lot of cool things you got there! Hi Matthew, I agree with Richard, that is a lot of cool stuff! I’m a flash light nut. I don’t think you could ever have too many of them. Have you heard of the Nitecore EC11? It’s almost twice the cost of the Fenix you have, but also twice the lumens. The size looks to be a bit larger than the Fenix, but comfortably fits in my pocket everyday. Hey KenC, Thanks for recommending the Nitecore EC11. I have actually looked into that light. It looks like the clip is easily removable though so that’s not for me. Is it? I’m looking into the Nitecore MT06 or Streamlight Stylus Pro. The Foursevens Preon 2 would also fit my needs. I usually carry only my watch, alittle bit in the same style as the watch above, its a Bagel Steelsport a.k.a president homage. So it would be nice with a little bit better watch! I’d love to have a new wallet. I lost mine I only have a purse lol. Coin purse. I usually have a cheap little TAC-FORCE knife in my blazer pocket just in case, and a really nice watch I got from a museum with an automatic Miyota 8N24 movement. Always have my leather wallet in my pocket and my key ring that was a gift to me from Greece. Last but certainly not least, I always have my phone. The watch looks really nice, and I could definitely use a better knife. I like the key bar too! My EDC is a Movado 800 series watch, an I-phone, and a leatherman wave multi tool. My EDC: bisonmade wallet, seiko sea urchin watch, vitme handcraft keyhook, nite ize multi tool, kingston usb and rayban sunglasses. My usual EDC consists of a watch (most days my Seiko SBDX001 Marine Master 300 or my SBBN007 Tuna), an Emerson folder (pimped A-100, CQC-7, HD-7, or a Commander), my Tanner goods card holder as a wallet, a KIA bracelet, and my keys. Garrick, we may have spoken before…Do you also own a TAG? Wanted to let you know that if you wanted to save a few bucks, you should buy the Dragonfly soon or if you don’t mind having a cheaper version, the Byrd Robin is basically a Dragonfly. Spyderco has created a MAP Policy that will increase the prices of Spyderco producs (including Byrd) slightly after January. My daily watch is an citizen nighthawk. I also own a Omega speed master . How are you liking that Nighthawk? It’s on my list. I carry a Thirdeyetactical slim Kreeper, a leatherman skeletool, a hanksbyhank, and a eagtac mini flashlight. My watch varies from day to day, but usually a tool watch or a dive watch. How do you like that skeletool? Pros,cons? I love the keele tool. It’s light, fits good in the pocket, functions perfectly. No cons. That’s awesome. I’ve never had a skeletool, I have a few leather mans but that one never caught my eye. I’ll have to check it out. Thanks for the response Stephen!! My EDC is Oreint pilot watch on black nato strap . A folding knife type box cutter as my state has very weird laws as to pocket knife blade length if your from wisconsin look up sommer v wisconsin for more info. Beater watch is seiko kenetic. My EDC consists of my normal keys. I carry 1 set in each front pocket in case I lock them in my truck. My wallet is a Spec Ops wallet, knife is Zero Tolerance 0630 with Emerson wave, Leatherman Wave multitool. Fenix LD22 flashlight. Samsung Galaxy Note 3. Glock 17 in a Wild Bill’s Concealment Holster with a spare mag. It all rides on Duluth Trading lifetime belt. Good luck everyone. My normal EDC is usually a Titanium Framelock Flipper(recently have been rotating between a ZT 0562CF, Spyderco Southard, and Reate Horizon D), multi-tool is a Leatherman Charge TTi, watch is Casio Pathfinder Titanium for work or Zelos Chroma outside of work, flashlight is an Olight S10 Baton, wallet is a Maxpedition Spartan, and I normally have an Atwood or Zach Wood pry tool. That’s three sweet knives you have there sir. I’ve got a ZT0562CF coming my way right now and I can’t wait. You won’t be disappointed, I have both the 560 and the 561 they very good and hold a great edge. Hi Jim, that Olight looks good. If you’re ever in the market for something brighter, I recommend the Nitecore EC11. It’s something I carry with me everyday and packs a whopping 900 lumens in something not too much bigger than the Olight. I carry a Ontario rat 1 folder pocket knife. no watch as of yet. keys on a key ring. Domnic, about those bands, mind if I ask where you purchased them (online perhaps)? I’m always on the lookout for nice but affordable leather watch bands, so having another one to add to my list would be much appreciated. I individually put all 3 together from amazon. When I say I put it together, I got Apple watch strap adapters. And then bought 22/24 mm regular watch straps separately and fixed them to the adapters. All items were purchased from amazon. My EDC is pretty basic. I always wear a watch and have at least one knife with me. I rotate both a lot but right now my favorite watches are my Suunto Core, my Luminox or my Skagen with steel mesh band. As far as knives go, I have some Sogs, 2 Spydercos, a couple of Kershaws and an HK Benchmade Entourage that I alternate through. That setup you folks are giving away would be a welcomed addition to my collection. Thanks for the chance to win some nice EDC gear! I also carry my 5.11 Rush Moab 12 backpack with my HK VP9, a lock pick set, a Mora Bushcraft knife, a compass and some paracord. My normal REC is a Steinhart Ocean One Blue, Victorinox Swiss Army Knife “Spartan”, KeySmart key holder and a copper bracelet I bought on Etsy. Casio GW-5000-1JF, Bellroy Note Sleeve with Peter Atwood’s Sporkula inside, Munroe Mega Dangler holds my keys with Veleno Design’s D2 and SAK Ramler w/ StayGlow scales, SAK Yeoman IV. some are similar to what I have. My EDC is simple, but in the progress of being upgraded. I use to carry my keys in a leather key wallet that was connected to a S-biner or S-link, but have since lost the unique screw for part of the wallet, I carry a leatherman wingman, my thin profile leather wallet, a Nautica yatchtimer watch and my android phone. I am hoping to include a folding knife and eventually an altoids EDC tin. Hey Jermaine, if I may recommend the Kershaw Cryo II. It unfolds smooth as butter and comes out of the package very sharp. A very trustworthy brand. I tried an altoid can once, but for my needs it simply was too small. Not sure what your purpose for the tin, but if you’re interested in one who has been down that road, I’ve found that using a pouch about the size of 5×9 (-ish) may be worth keeping in mind if you don’t get everything to fit. I agree with you on the Kryo II, it is a fantastic knife. More often than not thats the knife I grab when I’m in a hurry and don’t have time to put any though into what I want to carry that day. Nice Hinderer design, smooth flip action and deep carry pocket clip. Third for the Kershaw Cryo. Albiet I have carried a Kershaw Cryo I. The Kershaw Cryo is a gateway knife. It has held up to a lot of abuse over the 2 years I have carried it. It also sharpens well. I appreciate your input, Matthew. Definitely a gateway knife. Cary, multi-tasker as in “multitool” like a Leatherman? I’m just trying to get an idea of what’s on the market so I keep my options open. Hey guys. I don’t have an elaborate or special carry like most of these guys above my comment have, but that doesn’t mean that I wouldn’t love to join them and carry the awesome items that are up for grabs in the sweet contest. As of right now all I carry is the key to my jeep, house key, and my multi tool. I really would love to carry that key bar so I can stop the noise and i really really would love to rock that watch on my wrist, honestly the coolest one I have laid eyes on. And that cool Emerson knife would be super great to have in my pocket. So I hope with y’all’s help I can move up in the ranks of EDC. Thanks so much for an awesome giveaway I hope to hear from y’all soon. Hey Andrew, welcome to the world of EDC. 🙂 If I may offer some advice, start out small. When I first started out I kind of lost control thinking I needed to have all sort of items. However, the items you mentioned are definitely worth pursuing! A minimum of 2 pens (1 ballpoint + 1 pilot liquid ink). My life is usually revolved around me going to school… Pretty boring, but those are the bare essentials! Hi Jason, if I may ask, what specific model of MIDO are you referring to? I ask because I’m wondering if it may be a dress watch, which is what I’m in the market for and would like your input about the brand. Thanks for the assist! My watch is the Barcelloni III (link below of picture). I think it is a very nice watch, it’s moderate in terms of weight, and it’s style is very decent and subtle. The one thing I don’t really like is the watch strap, it is a bit too rigid and can sometimes awkwardly rotate on your wrist. I think it’s a very solid brand, and MIDO being one of the higher end companies in the SWATCH group, has done a fairly decent job. So in general if you want a subtle (not in your face) watch to go with your suit or dress shirt, it may offer things that are nice. (I’m also a fan of not having too complex of a watch – simplicity is golden). Here’s the link – Sorry about that. 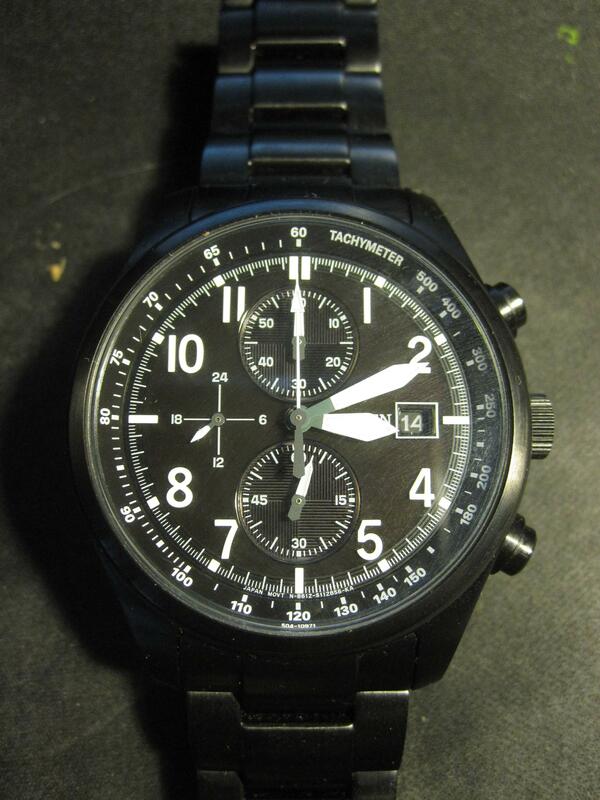 My weapon of choice is Bell & Ross phantom chronograph. Peter, I’m a fan of aviation watches, which Bell & Ross seem to specialize in. Taking a look at the Phantom, that certainly fits the description. How’s the lume on that one? Judging from the photo on their site it’s not a color of photo-luminescent coating I’ve seen before. 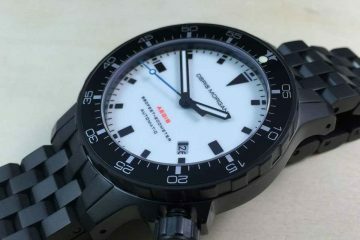 Kenji, I recently was introduced to Marathon and have put their Diver’s Quartz high on my wish list. It also has tritium. Is it really as bright as they say it is? I really like the idea of not having to “charge” the glow in order to see it. A Fisher Chrome Bullet pen for my pocket , a Fallkniven U4 folding lock back knife (22gms), St. Moritz Titan Chrongraph. The St. Moritz Titan is very nice. Would that be the one with the rose fold or silver? I agree with being as minimal as possible Miyata. Have you considered collecting other small items you might need in a easy-to-carry pouch, for example? My EDC consists of my keys, my wallet and a really cheap casio mq24-7b. I like to keep everything as simple as I can. Hey, can someone tell me something about OLIGHT S10?? Is it useful ?? Thanks for having this contest, I’m probably relatively boring compared to the rest, I’m still saving up for a ‘nice’ timepiece. Wallet: Small hand made leather wallet. It was a gift from uncle (purchased in Spain), whilst it’s only just smaller than an iPhone 4 it fits Australian currency (huge deal). There is no coin pouch. Phone: iPhone 4S (free from work, I broke my android by taking the SIM out). Headphones: iPhone 6+ earbuds (again, free from work). I normally rotate throughout the week, but lately I’ve been wearing my Omega Speedmaster Professional with the latest Star Wars approaching. My other essential is my Gerber Knife (I forget the exact model), but I mainly use this to open grocery bags or cut snags off of my shirt. EDC: watch, swiss army knife on my keychain, keys, smartphone. used to have a leatherman multitool but it has now disappeared, maybe the knife can make up for that! always enjoy the watchreport reviews. My edc changes often, but I usually wear my Omega Seamaster Planet Ocean as well as my HK nitrous blitz in my right front pocket. My EDCs are just my watch and a Bandage Scissor. It’s very useful and not that dangerous to carry. First of all, thanks for the awesome contest! My EDC is Victorinox Chrono Classic with ceramic bezel (excellent EDC watch in my opinion), LG G3 phone, Victorinox Cadet/Leatherman Style CS and Olight i3s flashlight (if needed) – minimalist convenient to wear EDC. If I need beater watch and a bigger knife – I will wear Invicta Venom watch and Spyderco Paramilitary 2 knife. Hope you like it and thank you for a chance to win great prizes! I always carry the 15gr knife from Deejo, my iPhone, my RayBans, my DSSD with me. I really love my vintage Messenger Back in Canvas and Leather, brown and grey. And of course my long term companion, my beard. You carry your beard in your pocket? I wish I had that feature. Would be a nice feature, true. 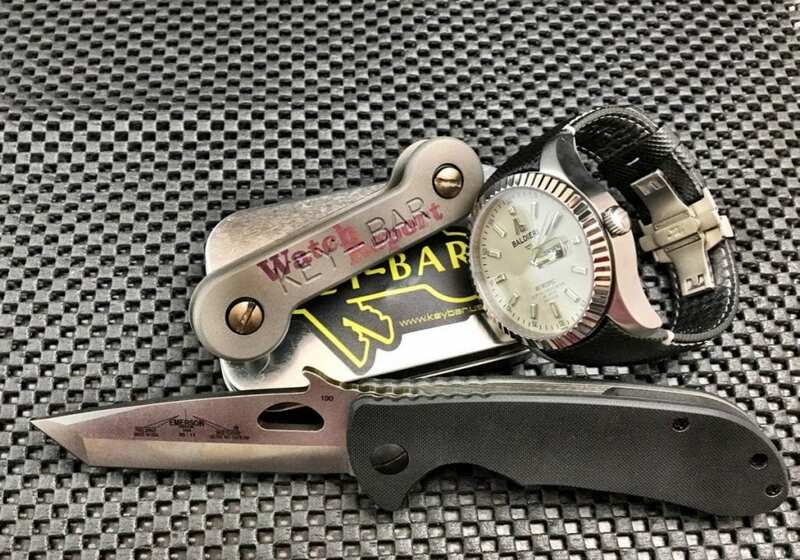 my EDC is a Borialis sniper scout which i discovered right here at Watch Report ,Victorinox Alox,Motorola Droid Ultra and a Glock 26 oh and my keys to my GMC……. I carry a 4″ Gerber folder clip knife, keys, wallet, phone, a S&W .45, and a Suunto watch. I have a Suunto too, I love it! Great timepieces. Hi Josh, would you mind elaborating on the Suuntos please? I’m currently in the market for a watch that is geared for physcial activities and I’ve only gathered a few firsthand experiences with them. I saw that some models have the ability to measures distances, which would be great to have when I go hiking. Can you offer any advice to that effect? My etc isn’t much, I wear an Orient Mako xl, carry a wallet, my keys, ear buds and iPad mini. Hi Stan, the Orient watches are definitely a good brand to go with. I have a very small watch collection and two of them are from Orient: the Aviator (blue dial) and the Ray (black dial). I wear a Obris Morgan Explorer II or scuba-dude Amphibia and carry a generic leather wallet, 3 keys on a ring, and my Xperia 3. Another fan of divers! I took a look at the Orbis site and judging from the “sold out” labels, I’m guessing they’re a hit with everyone. Is the lume really as bright as they show it in their photos? I never lead the house without: 1) A watch. 2) iPhone. 3) Gerber 8970614F folding knife. 4) Fitbit Flex. 5) Black leather wallet with integrated magnetic money clip. 6) Keys on traditional key ring. I have several watches, but the ones that make it on my wrist the most are a Prometheus Piranha and Timex Expedition Field Chromo. I had never even heard of a Key Bar until this contest, but I like the concept! A lover of diver watches, eh? That’s fantastic. I, too, have a weakness for them as well in addition to pilot watches. 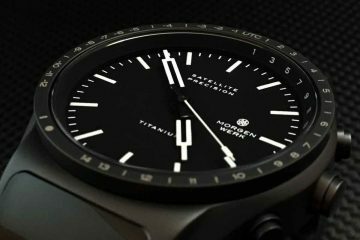 Have you taken a look at the watches from Squale? They have some great looking designs for divers. KenC . . . yes, I have seen some of the Squale divers, but they are a little out of my price range at this point in my life. I’ll be adding an Obris Morgan Explorer II to my collection by Christmas. Then hopefully a Seiko Orange Monster. I think that’ll do me for dive watches for a while, so I plan on moving to the other style I really like afterwards. Like you, that’s military/pilot watches. A Laco Nav B is on my wish list. Hey there. My EDC consists of a phone, one of numerous watches, car keys and my parachute wrist band. Hi Jim, you got me thinking–is a parachute wrist band be one that’s made out of paracord perhaps? I currently wear a Maratac Mid Pilot on my wrist. I go with a Duluth Trading Fire Hose front pocket wallet, a Samsung Note 4, keys, and a Leatherman Skeletool CX. Maratac are great watches. Wish I had one but they are out of my price range. Best of luck in giveaway, cheers. This is my list of daily drivers. For now it consist only out of two watches a swiss army knife a mobile phone and sunglasses but I’m on constant look out for a great deals to expand my EDC collection. First and fore most is the watch. My current daily driver is “Seiko SKX007J1”. Bought it 8 months ago and paid it around 220$ which is a fair price on this entry level diver. Been wearing it ever since and useing it in all kinds of environment. Got out with few small scratches here and there but nothing noticeable. The thing I like the most about Seiko is that it has automatic movement and simple men’s design with off center crown that makes it just enough apealing to the eye. Got it with plastic strap which I tought to replace immediately with some kind of fabric strap because I expected to dislike the feel of plastic on skin but after wearing it for several days I realized that it fits great with this watch and it’s easy to wash when it get’s sweaty. Before Seiko the “Timex Indiglo T2N721” was the EDC of the choice. It’s not the greates watch in the world I know but for the first watch it’s great time piece and with “Intelligent Quartz” movement it let’s you discover what watches are capable of. Paid for it 180$ about 18 months ago. Still works properly and I’m wearing it in special occasions. In past 2 months I’ve been on a look out for good deal on “Luminox 3042” but no luck so far. Second must have EDC item for me is the knife or should I say multitool. My choice of the EDC knife/multitool is “Victorinox Hiker Swiss Army Knife”. It’s one of my best purchases in past year. Paid for it only 30$ and it came to use in numerous situations. Eather I use it at home for some small jobs or it proves as an essential tool in town or wilderness. The size is just right so there is no problem putting it in your jeans pocket or trowing it inside back pack. Strongly recommend this version of Swiss Army knife. Last but not least is to mention mobile phone that is “Iphone 5C” with “Urban Armor Gear” protective case and sunglasses which are “Ray-Ban Aviator RB3044 029/53”. Not so much of a sun protection as I would like but look great with gun metal colored base. Hope you like my EDC setup and good luck to everyone who entered giveaway and thanks WR for giving me opportunity to win these great prices. My EDC is a constant rotation of knives and watches. Today is a Benchmade Aephid and a Casio MDV106 and a Leatherman WIngman. Other combinations might be a Kershaw Leek and a Seiko SNK809, an ESEE Zancudo and a TWCO Sea Rescue Diver, a Benchmade MiniGriptillian and a Chris Ward Trident Pro, a CRKT M16-01KZ and a Timex Expedition Field, or a CRKT Ripple and a Citizen BM8180-03e. Any and all of those combinations on any given day. When not at work, I also carry a Ruger LCP in a Sticky holster. I carry my cards etc. in a clip – nothing special (yet) for my keys – I wear an Alpina automatic pilot. Would love to add the EDC kit so I could rotate daily wear watches! A Luminox 200 , a 5.11 fold able knife , coach wallet keys and phone. I carry a Benchmade Osborne folding knife, a leather wallet, USMC key ring, and wear a Reactor Trident 300 M Aviator watch. My daily carry is a Techné Sparrowhawk II, and a few fountain pens: a black Sheaffer PFM I, a carbonesque Pilot Vanishing Point and a Sheaffer Snorkel and a Platinum Preppy .02. Ah! Another fan of pilot watches. And Techne is certainly a standout brand in that niche. My EDC consists of my wallet, G3, house key, wedding ring, and leatherman skeletool. EDC is Spyderco Pacific Salt or Benchmade 710, Fisher Space Pen, S5 phone, Timberland wallet, and watch of the day(Submariner, Milgauss, LL Bean field watch). Nice choices in watch brands, Jon! My EDC is a zippered bag inside my work bag consisting of a knife, flashlight, notebook, pens, batteries, and a multitool. During the week, I wear a ProTrek PRW1500CAJ for work. On the weekends I choose between a variety of watches based on my families activities. I feel naked without a watch and never leave home without one. I know what you mean, Jerry. I used to just rely on my smartphone for the time (still do), but there’s something about a watch that just makes sense to have at all times. I’ll most probably do that. Cause everyone deserve a reward for themselves. And I really want a new one. I’m saving for it. Ken is right brother, if it tells time then it’s a good watch in my book. I carry my keys and my water bottle. Not that much of things. Now that I read the others comments I think I should re-think the stuff I carry on with me! My EDC consists of a watch that changes daily (Sinn UX today), keys on a smart key, CRKT M16, wocket wallet and fenix torch. I always have 4 things on me: folding knife, flashlight, phone and a watch. My current folding knife is Kershaw CQC 6, an Emerson design produced by Kershaw. Flashlight is an awesome O-light O-pen, two AAA bateries and 180 lumens :), very reliablle and elegant. I’ve recently upgraded my phone to Samsung Galaxy S5 mini. As far as watches go, I’ve got three in rotation: 1. Old Casio watch, which I’ve had for more than 13 years now. It’s a sport watch, so i swim with it, travel with it and is my go to watch when I cook. 2. Old, chineese made Q&Q watch (7 years old now) with a brecelet. It’s a workhorse. It had to be fixed couple of times, BUT it took a lot of beating and still keeps on going. 3. Tissot Classic dream on leather strap. I wear it whenever I need to look good, which has become the rule… I love this watch! Things that I often carry, but sometimes I won’t: multitool and pocket knife. Whenever I have my bag, I’ll have my Leatherman Juice XE6 on me. Very usefull and good looking, although a bit too thick for my taste. Pocket knives… I love Victorinox Swiss Army Knives and used to carry them regularly, but since I got into multitools…not so often. Nowadays I carry them just for fun. It either my first knife ever, the Tinker in a leather sheath I made for it or the amazing gentelman’s pocket knife – Bantam with alox scales. Wow, I really enjoyed bragging about my stuff! Hope to add those items to the list and thanks for the giveaway! I’m a amateur that just started to look at watches. I currently don’t own any EDC. If I’m given a chance, I would like to start something affordable, practical, easy to use. There’s too many choices but my resources are limited to own much gear. It would be an honour to receive one as a gift n contribute back to this website. These are my 5 EDC items: (1)Keys-USB keychain (2)Wallet-Neiman Marcus Alligator wallet (3)Phones-Samsung S6 Edge (personal) & Note 3 (work) (4)Sunglasses-Prada Linea Rossa rectangular aviators and of course (5) Watch. These are the watches that are most frequently worn: Boschett Harpoon (white face w/ceramic bezel), Magrette Moana Pacific Pro G14, Tissot T Race MotoGP Automatic, Welder K28 7103 Chrono, Haigh & Hastings M2 (Gallipoli edition) and Baume & Mercier Classima Executive Steel XL. I love your watch choices. From micro brand to super micro brand to high end Swiss Made! I carry my Seiko SCS017, a leatherman multitool, keys and my wallet. What’s your favorite item from this giveaway? Me, I like the Watch of course. Keyboard since I’ve never had one. I carry a pocket knife everyday. Wearing a watch goes without saying. Since I do collect both, watches and knives, this contest really hits a homerun with me. Thanks, enjoy your channel and I do like to learn about the new watches coming out all the time. My “EDC” for today is a Benchmade pocket knife, a Fenix flashlight and my watch today is an Oris BC4. Great reviews! I usually carry a cheap japanese-designed/chinese-built quartz watch ¡that’s all I can afford right now! I also carry a lash with a ring for my keys(old fashioned but practical), a three AAA batteries/seven LEDs flashlight and my best piece, a little foldable knife by Northland with 3,5″ blade, not much of a knife but can be persuasive if necessary. Cool giveaway and quite generous, WR. Very nice of you to coordinate this, too, Don. I’m in. The main component of my EDC is actually the bag itself and not necessarily what is inside. i carry a Maxpedition Noatak gearslinger bag that can hold just about anything and conceal things (like weapons, if necessary), too. I routinely just have a watch, money, keys, phone, some food, water, and a tiny med kit inside an old altoid tin. Not much but it works and I have lots of space to fill with stuff I get along the way of the day. I used to have a Maxpeidtion Kodiak but its just too big for my minimalist needs. I’ll be selling it soon really cheap if anyone is interested, too. Cant go out without a bag. That’s def. An EDC thing. 1) Whatever watch I decide for the day. Today it’s the Magrette MPC w/ branded rubber strap and deployment clasp. 2) Saddleback Leather Co. front pocket ID wallet. 3) Keys to the ol’ Ford Mustang w/ the Gruppo Gamma skull pendant attached. Used to carry either a Benchmade or Spyderco folder as well. But ever since the kids came along, I stopped carrying. I always wear my Alpina Extreme Diver 300 and I always carry my Leatherman Wave, car keys, and my Samsung Note 4. EDC right now is my work iphone, apple watch and a wallet. Sadly nothing exciting. I do not use a knife, bit I have one for emergencies in my bag. My phone Sony Z3, and a watch that I change it on a regular basis, depend on the mood. today I have a Timex, retrograde cronograph. My EDC rotates watch between a Seiko Black Monster, an Invicta Pro Diver, and a PAM sub rep. Knife is always an Emerson or Bastinelli. Always on me is my money clip, key dangler, and pen. Well I carry two to three knives on me every day! Call me crazy but they all have a purpose and sometimes I carry four. I carry a don’t tread on me snake key bar, a Casio g-shock watch, a 5.11 TMT PLx, iPhone 6 in a black otter box defender and a Columbia wallet. At the moment I’m carrying a benchmade Adams 275, benchmade 2550 mini-reflex, HK turmoil, and a spyderco dragonfly. Wear Timex Ironman, wallet, s&w shield 9mm, leatherman pulse, penlight, grizzly mint, and if I remember my pants to out it all in. I carry a trayvax wallet, SOG crosscut, iPhone, and a S&W M&P shield 9mm. Looking to expand and this kit would be great. My EDC consists of Moto e, Electric FW02 NATO watch, Emerson/Kershaw CQC-5, ss zippo, matte black space pen, Leatherman Micra, usb, Nite Ize DoohicKey tool, wallet, bandana and about 2 feet of paracord. I only have a kershaw shuffle 2 and a g-shock in my edc arsenal so far. My EDC usually consists of my Nexus 6P, a little duct tape wallet, keys (#stopethenoise), and one of three 3.5′ lockblades that change depending on the circumstances. I also just wear a cheap water resistant watch, that needs to be upgraded. Thanks! My EDC consists of a M&P Shield inside a G-Code Incog holster and a ZT 301 knife. No watch at the moment, don’t know what kind I want..
How do you like the G-Code? I have been thinking about adding one to my holster rotation. My Edc carry includes a Glock 42, located comfortably on my ankle in a sheep skin holster. A Monte Verde fountain pen, sterling silver and obsidian cross necklace. A Austin Weiss QtrMstr Neck Knife, a CRKT Eat n’ Tool, a leather man multi tool, a CREE 1000 Lumin flashlight. Also, I wear a Casio cheap-o silicone watch. This would add wonders to my EDC. Would love to add this prize to my EDC.. Currently my carry is a choice between my 7 favorite Kershaw’s, a Springfield XDM, Fitbit charge, one of various knuckle multi tools, and my Star Wars Hank. I almost always wear Casio Expedition Pathfinder, carry a Shield 9, Gerber knife, hanky and some pens. my keys tend to make a lot of noise, should do something about that. I wear a suunto for, carry a benchmade 940, and have a bunch of other miscellaneous pieces. I usually switch out the knives, but every day I carry victorinox cadet. EDC includes Maratac Pilot, Benchmade 755 Sibert MPR and a Keltec P32 as well as the standard wallet and iPhone. My edc is quite simple and not as extensive as a lot of other people but it suites my needs. Carry my trusty, cheap CRKT, along with a utility knife for different jobs. Tactical pen, along with a Zombie Green tac marker. Depending on what I’m doing I also have my field notes with recycled firefighter cover. Top it all off with my IPod and ear buds. What’s an IPod, you say? My usual edc is a brown swiss gear wallet, 2006 smith&wesson limited edition wood grain folding knife, mini mag, my leatherman and just got my gray raindrop keybar. Stop the Noise!!!! Make up my mind on what style or brand. Try a keybar bro! They’re pretty sweet. My edc is a sekio monster, rat 1 folder, Fenix ld 20, glock 34 and a Leatherman juice. I’ve been a big EDC guy since I discovered ThridEyeTatical’s Threeper Kreeper accidentally on Instagram. I’m picking up my EDC game and I currently carry a Keybar and a paracord banded TimeX classic watch. I’ve been in the market for a EDC knife and stumbled upon this giveaway from keybar’s instagram’s post. Everyone, best of luck! Totally forgot about my iPhone 6 Plus and money clip. My everyday carry includes a titanium yawara stick. Plus the usual assorted bits: small folder, keys, flashlight. On a daily basis I am always carrying a Knife, knuck, firearm, and usually g-shock. My EDC game could definitely use some updating, as i don’t carry anything fancy but the things I choose to carry now all mean something to me which include my grandfather’s swiss army knife, a watch my sister gave me when I was a teen and a paracord buddy made by a fellow EDCer I met through Instagram! My EDC is always getting updated. My current package inlcudes S&W Shield .40 retained in an appendix PJ Holster with a spare mag in a PJ Holster, Cold Steel Mini Recon 1, Streamlight ProTac 2L, Casio G-Shock GW-5610, Apple iPhone 6 in a Lifeproof case, Recycled Firefighter Sergeant, and a gold nitride coated titanium KeyBar. I only carry what I need, never more, never less. These are the tools that I use everyday to keep me safe and productive. I would like to add a multi-tool to the mix but I haven’t found one I really like just yet. The Leatherman Juice S2 has been on my radar for a while now so I may get that soon and try it out. My EDC Canyon Hidden hunter benchmade, my the ridge wallet. My sweet Brad Southard by spider co my titanium key bar. Would love to give this to my brother i’m going to some hard times could you some good EDC stuff for Christmas. My edc is a kershaw thermite, nixon corporal,wallet, keys with paracord. I carry a victorinox cadet black pocket knife. I need to up my EDC for sure lol. Bro, I carry a cadet every single day!!! No matter what else goes in my pockets, my cadet is right here with it. Hi yall. My EDC normally cosists of a boker nano knife that i customised myself. I replaced the g10 scale wit copper and gave it a mild rock finish. I carry my keys on one of two keybars that i rotate based on the day ahead. I always utilise a EDC wallet by recycled firefighter. you can find his fantastic products on instagram. @recycledfirefighter . I also carry a lager knife evry day. usually a flipper. i rotate from my zt0655bw to a benchmade 550hg. I quit smoking almost two years ago by replacing tobacco with vaping so i always have vape equiptment and liquids with ma too. on instagram I am @diddysdaddio you can see the above edc stuff in my stream. I really want this watch! I would post it and shout you out every post! i would pay it forward with a giveaway of the knife on ig. #payitforwardfromwatchreportgiveaway maybe the keybar too if my wife didnt want it lol. thank you for this chance. oh ya check out @theluckyfatman on ig. they are changing the world one day at a time! http://www.luckyfatman.com amazing movement! I think i got here because i stumbled across your IG post, thanks for the share! Good luck! Here’s a pic of some of the combination before I had the Skyline. My EDC is a Spydero 1st Generation Endura folding fully serrated blade, a Spydero “Dog Tag” straight edge knife, a Black Diamond carabiner that was retired after a season of use (holds onto my keys), and an Omega Speedmaster “Alaska”. My edc’s nothing too fancy. I always carry a folding knife a gerber utility knife for work or a s&w extreme ops folder a minimag light and either a fossil or relic watch and a nite ize s-Biner with my keys. I used to have a Seiko watch too long time ago. Its still with me but its broken now. I will have it fixed cause my Dad gave it to me I want to pass it down to my future son too. Rey, mine was also broken but I happened to find a local watch repair guy who could do it so I got lucky:) It is very special for me to have this old watch working again. When I told him about it he was very happy and shared some of his diving stories with me:) Thank you for sharing and hope you will get your dad’s watch repaired soon! Hi Kyota, Yay! Sounds good news to me. I will get it done. Thanks. I know Dad will be happy too. Im wearing a New watch from Momentum, St Moritz out of Vancouver, BC. Pathfinder 3, solid Titanium, black face & vintage leather strap. I always have my “Kershaw” brushed stainless steel, Ken Onion Design, assisted folding pocket knife, close by. I feel that your watch and choice of knife as well as wallet, really defines ones personal style. enjoy your reviews. thanks.. and Merry Xmas. Momentum make some mighty tempting watches. I kept aiming to try the M1 Pro, but they discontinued it and now the ones you find are usually overpriced. How’s your Pathfinder treating you? I have a Swiss army knife I’ve had for about 20 years I still carry sometimes. They’re great and not too bulky. During the day, I always have my keys, wallet, cell phone, and one of many watches. At night, I add usually add a Kershaw folding knife and I downgrade to a very modest watch. My EDC is not flashy but it gets the job done..SOG mini Tanto knife, keys are loose in my pocket (they keep warm with the lint, cuz I’m broke) watch nothing fancy just a good looking OS watch I picked up at Target. I wear a seiko 5 sports military automatic gents snzg13, I know its not much compared to others but I like it, I like its movement, finishing, transparent back. How long have you had it? Does it show wear easily? I’ve kicked around getting one of those so many times it isn’t funny. I breifly owned a Seiko SNK809 which, despite my not minding small watches (I wear a lot of HMT), wore a bit too ‘small and tall’ on my wrist. So, the larger SNZ family is more to my liking. My EDC varies from day to day and situation to situation. My ‘around the neighborhood and out for a walk’ EDC is my iPhone 5c and Skullcandy earbuds for music, a notepad and Parker Jotter for note taking (I do a lot of writing), Costa Fathom sunnies, and usually an ancient and beat-to-heck Timex Atlantis for my watch. My ‘out and about’ EDC is my aforementioned phone sans earbuds, my wallet of unknown make, Costa Fathoms, one of several vintage Case knives (from the 50s to 70s), and a rotating stable of affordable timepieces currently I’m wearing my Vostok Amphibia 710 ‘Blue Scuba Dude’ on a Meranom.com/Vostok ‘tropic’ strap a LOT. Nice!! i like half serrated blades as well. But I usually buy full plin edge knives because I enjoy sharpening them. Thanks for the response!! I came to this site to find reviews for a good watch. What luck! I also found information on key bars (didn’t know they existed,) and knives. I research everything, especially things that I need to purchase that are a substantial investment. Watch report has done all of the research for me! 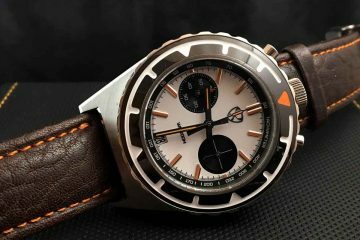 I need to find a low cost, quality watch. Difficult task! I have a collection of inexpensive watches that I just throw away when the battery dies because a battery would cost more that a new watch of the same kind. I want a watch I can be proud to wear everyday. I now own a automatic wind I bought off of ebay that works fine as long as I actively wear it. If I stop moving for too long, or I take it off for the night, it stops. I didn’t expect too much since I bought it second, or third or fourth had from ebay. My EDC consists of my Samsung Note 3 smartphone, sometimes a watch (if it’s working,) and a keychain with a hook clasp (no brand name.) I used to carry a small,1.5 inch pocket knife that includes scissors (didn’t work), a screw driver, bottle opener, and nail file, but it was taken away while boarding a plane. I swear I could do more damage with a Bic pen than that tiny knife, but I guess they have rules. I carry watch, phone, keys and wallet and of course my helmet when on bike. my basic EDC: Vitme Keyhook, Zippo 80,s lighter, seiko sea urchin watch on nato strap, zebra pen, bisonmade wallet, nite ize multitool.